Romans 12:9-21 – Love must be sincere. Hate what is evil; cling to what is good. Be devoted to one another in love. Honor one another above yourselves. Never be lacking in zeal, but keep your spiritual fervor, serving the Lord. Be joyful in hope, patient in affliction, faithful in prayer. Share with the Lord’s people who are in need. Practice hospitality. For years when my husband and I would fight, our arguments started small, but shortly would be burning out of control. The problem? We would get defensive. We would be hurt by the fact that our spouse wasn’t thrilled with whatever it was that started the “discussion” and we would have to point out one of their flaws as well. Then the other would do the same until our small fight had turned into a huge fight about all sorts of things that weren’t even part of the original argument. We were returning evil for evil. We felt the need to point out all the other person’s wrongs so we could feel better about ourselves. We have grown up a bit, and this doesn’t happen nearly as much as it used to (thanks to reading “Love and Respect“). We could all use a little more Love and Respect couldn’t we. Treating each other with love and respect helps us to stop that crazy cycle we get on. The funny thing is, I have found that when I make an actual effort to live at peace with everyone, it usually happens. If I restrain myself from getting angry when someone purposefully says things to get me riled, it quickly diffuses the situation. There isn’t a lot to say on either side when one person isn’t playing that old game. There are certain people who know how to push our buttons. They’re looking for a way to get under our skin. Sometimes it’s even people who are your friends and relatives, but they try to guilt and manipulate you at every turn. So do you have to give in to the guilt and manipulation? No, but you are called to treat that person with love and respect. That’s not always easy when it feels like your values and morals are under attack. For me, I find a lot of peace knowing that I don’t have to win battles on my own. I can walk away and know that the Lord is avenging the wrongs that have been done to me. I don’t have to call them names, make them feel bad or complain about them. I can turn it over to God. I can trust Him to sort them out. They’ll get theirs, and I trust that God knows even better than I what would be the best kind of vengeance for those who have done us wrong. Some of you probably have had bigger struggles than I with this issue. Maybe you had a loved one murdered. Or maybe you were paralyzed when you were hit by a drunk driver. These big things are much harder to get over. They’re awful Like so many other imperatives we’re told in scripture, even though they’re contrary to how the world acts, they’re really meant for our own benefit. So that we might not have troubled hearts, so we can get over the pain and especially so that we can deepen our relationship with our Lord. Still not easy, but trusting God to avenge the wrongs done to you can be a great step in your healing process. If thinking about God as the one who avenges the wrongs done to you isn’t enough, there is another great way to get back at those who wronged you. Treat them with love. Again, this is contrary to what the world teaches. But God knows a better way. One that won’t cause your soul to be damaged while still getting the other guys goat. If someone does something bad to you, kill them with kindness. God tells us in this scripture to feed your enemy if they’re hungry. If they’re thirsty, we should give them something to drink. There is nothing worse than being really ticked off at someone and then they do something nice for you. You want to keep being justifiably angry and maybe a little mean. They deserve it, right? Probably, but God doesn’t want you to be the kind of person that is always living out of anger and meanness. Is that what you want? The more we can respond to those we really truly are mad at with kindness, the more we’re going to be able to let go of the hurt faster while building our relationship of love and trust with the Lord. And there’s a bonus: It will drive them crazy wondering when the other shoe will drop. 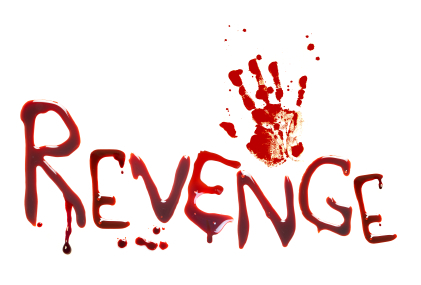 They’ll wonder what you’ve got up your sleeve and when they can expect you to exact revenge. So you’ll be heaping burning coals on their head, ever more making them think about you and what they’ve done.